We now offer appliance parts and used appliance sales. Your appliances work hard, and breakdowns can cost you more than money. Down time from appliance problems can add stress and throw off your busy schedule. Mr. Appliance® of Marion County understands that being without kitchen appliances or laundry equipment is an inconvenience. When the cook-top won't heat or the washer leaks, you need expert appliance repair immediately. Get Expert Appliance Repair Right Away! Call (352) 533-2325 to request your next appointment. Check Out Our Used Appliances! Home delivery is available for all appliance purchases starting at $50! The valuable appliances in your home work hard—and if they are not performing, it can cost you more than money. We at Mr. Appliance® of Marion County understand just how difficult it is to be without your household appliances. It is more than just inconvenient; it is stressful and can throw a serious wrench in your busy schedule. That is why we encourage you to contact our experts as soon as possible. Why Choose Our Ocala Appliance Specialists? We provide you with an accurate price quote before we ever begin any work. We are fast, efficient, and give enormous attention to the details. We promise to leave your home in a better shape than when we arrived. We guarantee all of our appliance repair parts and workmanship for one full year. We charge by the job—not by the hour. That means no overtime charges! Do you need the job done right? Contact our Ocala appliance repair company as soon as possible. We serve customers throughout Marion County, including Summerfield, Silver Springs, The Villages, and Lady Lake, FL. If you would like to learn how we can help with your broken appliances, do not hesitate to get in touch with our team as soon as possible. You can give us a call at (352) 533-2325. Call (352) 533-2325 to request your service! We also now offer appliance parts and used appliance sales. 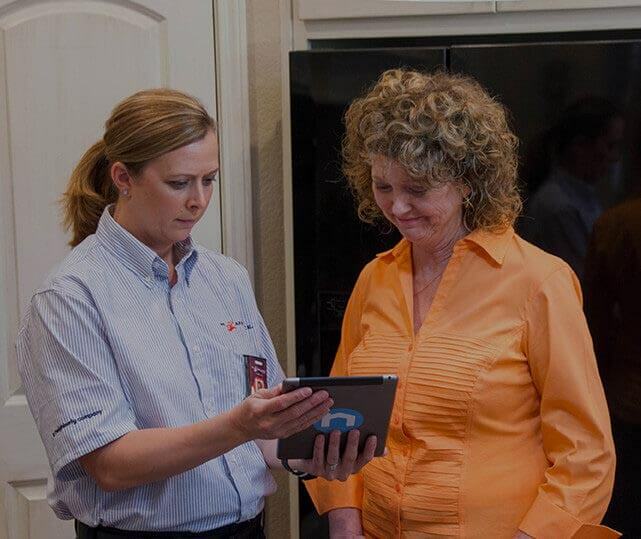 We serve customers throughout Marion County, including Ocala and The Villages.